As part of our standard package participants can choose to have the free use of a 76L Backpack, Self Inflating Mats are $35 to hire for the duration of your tour. If you require the use of these, please confirm. 2 man sized tents are automatically included in our packages for free hire, 1 tent per person (no sharing required). 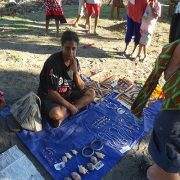 Note: These are received on the first day in Port Moresby prior to the trek. 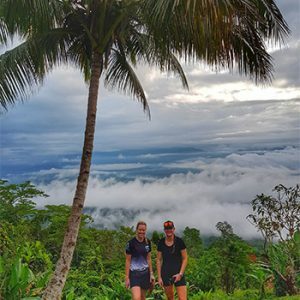 This amazing Anzac Kokoda trek will start out in Port Moresby at our luxury accommodation and travel to the Northern beaches of Gona, Sanananda and Buna villages. During our time here we will travel via boat along the northern coast line in these pristine waters to memorial sites, museums, Japanese pill boxes, battlefield and rusting relics laying in the jungle as they where in 1942/43. 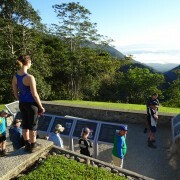 Our Anzac Kokoda Trek is conducted over 9 days on the trail and 2 days at the Northern beaches battlefields. 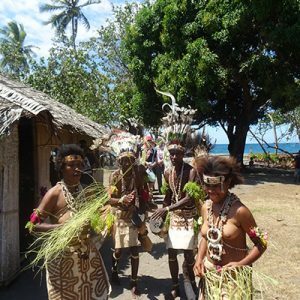 The conclusion of the trek is at Ower’s Corner where celebration photos will be taken before making our way back to Port Moresby where we will explore the city. 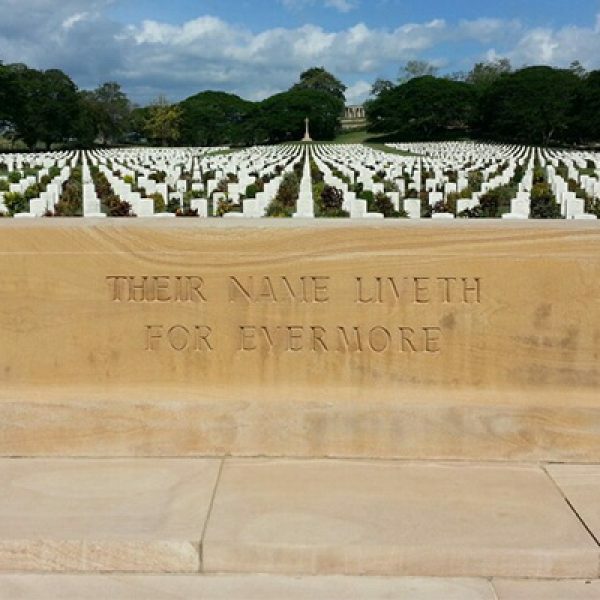 The tour group will spend the night at Ela Beach hotel before the spectator commemorative dawn service at Bomona War Cemetery for the official Anzac Dawn Service. 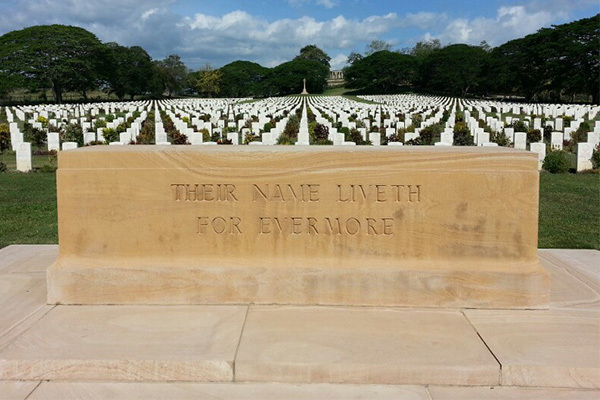 Following the service we allow for plenty of time to walk around the war cemetery before spending the day in safe area of Port Moresby’s business district and yacht club. The last commemorative dinner will be held that night before departing the following day in the 26th April. 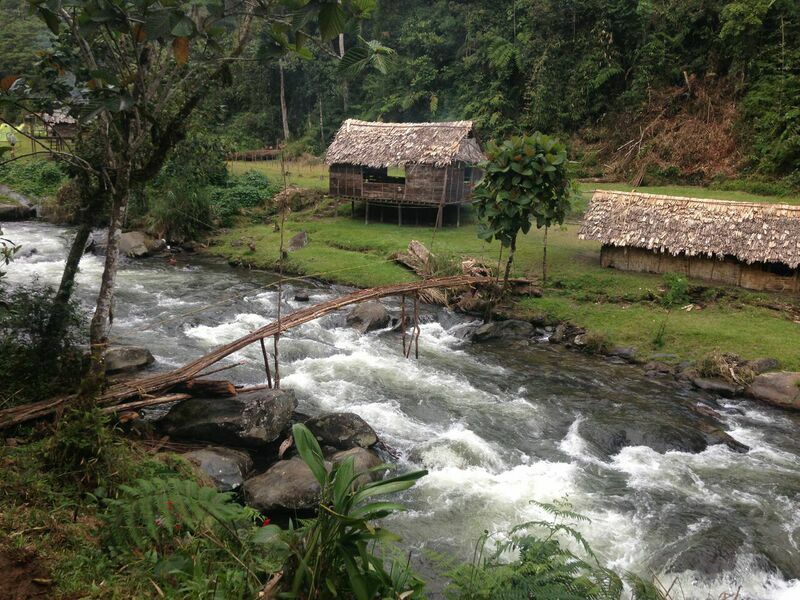 The Northern beaches villages are only explored by 5% of Kokoda track walkers. 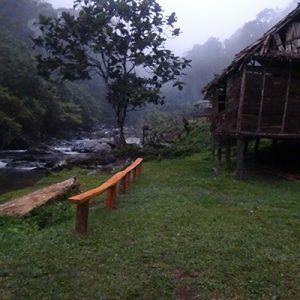 Gona is only a 40-minute drive from Popondettta airport and the vast majority of people miss out on this remote unexplored oasis and coastal villages. 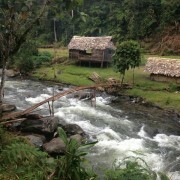 This was where the Kokoda campaign began and saw the Japanese ultimately defeated to end the Kokoda battles. 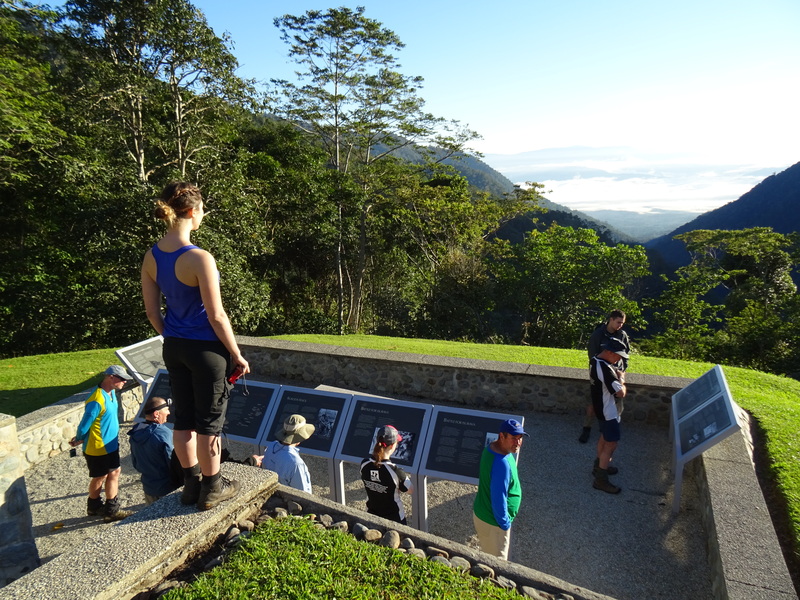 Many soldiers lives where lost in these battles in a larger volumes than during the Kokoda Owen Stanley battles, yet this is still rarely recognised by many people or Kokoda tour operators. You will not be disappointed in visiting this hidden gem. 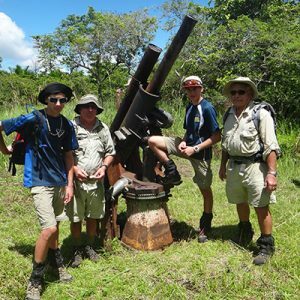 Our experienced guides are passionate about the track, the history and offer a lot to the experience. 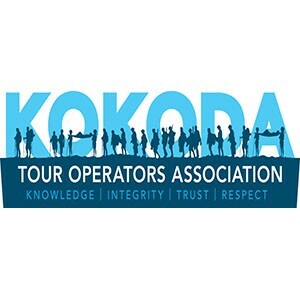 Being highly trained and competent we will ensure you get the best experience the Kokoda Track has to offer. 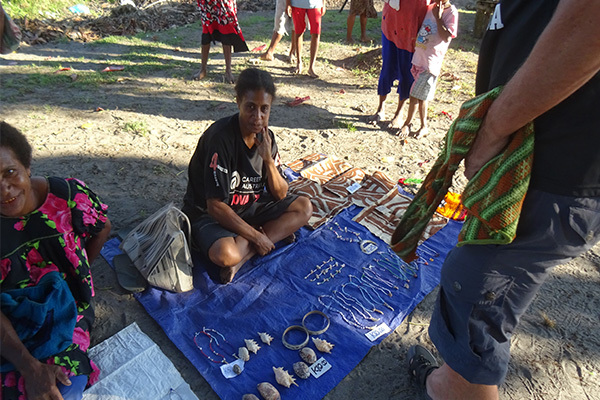 This trek includes a visit to the PNG national museum, city tour and the option to vist vision city mall. 3 nights twin share accommodation at the Ela Beach Hotel is included. This can take a little bit of time so you need to be patient slow down and relax. The flight over the Owen Stanley Range takes 30 minutes and before you know it you have arrived in Popondetta. 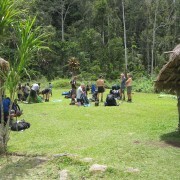 On the ground our Escape Trekking Adventures team will meet us and will continue with you on the Buna Adventure. Back onto the boats we soon arrive in Buna. 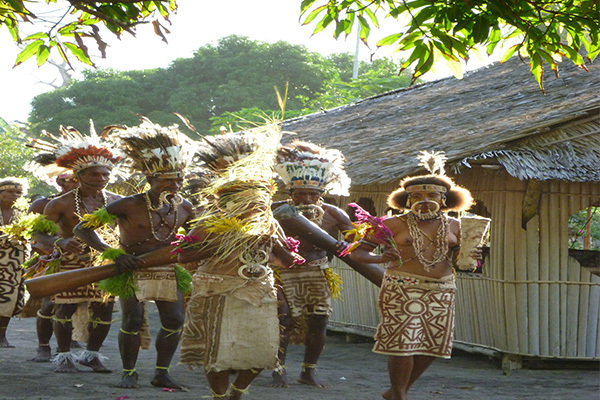 We will be welcomed by the locals when we arrive with a traditional dance and flowers (where available). We come together for our evening meal and have a briefing about the next day’s movements before heading off to bed. Trekkers wake before the heat sets in, and after breakfast we take a tour and are briefed on the history of the area. A guided walk through the village seeing the local war remains and sites in the area follows this. This does take a few hours so be sure to take your hat sunscreen and water. After an easy afternoon, there is opportunity to mix with the locals, be sure not to walk too far to avoid heat stress, remember to take some water, camera and some Kina. 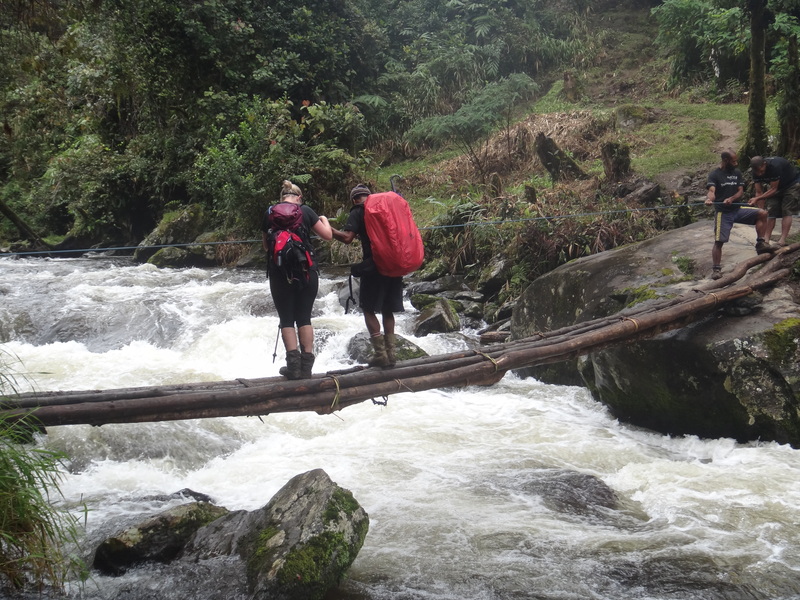 We walk out from Buna for a period of 1 & ½ to 3 hours until we reach a road junction and the group will jump on board the PMV and move towards Popondetta. The drive to Popondetta takes around 45mins-1hr, and there the group will stop off at the supermarket, trekkers usually grab a drink and something to eat (personal expense). After seeing the battle site we take a short 15 minute walk to our campsite Con’s rock, this campsite supports the Alola school. We take off early a after special service held at Con’s rock and walk for nearly 2 hours were we reach Alola and take a short break. 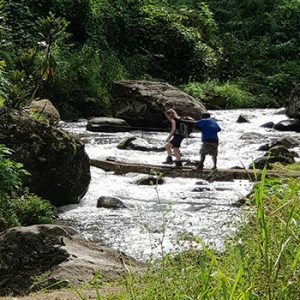 From Alola we encounter our first steep down hill section which can be slippery if it is wet, this takes around 1 hour from here we cross a creek and proceed to climb at a steady pace for 2 hours onto Eora Creek. Along the way, a detour is taken to view the Japanese gunning position overlooking Eora Creek. 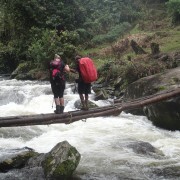 From the junction we walk on to Eora Creek. The creek is a beautiful swimming place although it can be a little chilly which is great for your aching muscles. After an early morning dawn service we descend down to Menari, on the trek down the ridge the group will be shown the lookout to Menari, and be briefed on Japanese positions in the area during their advance. On the way you will have a brief stop at Macdonald’s Corner, The Sogeri Junction, Rouna Falls. We join in what is an emotional dawn service to remember ANZAC Day and those who served for their country. This will be an emotional experience and we slow down a little today to enjoy the moment and reflect on our own journey. 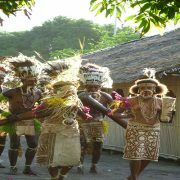 From here we will enjoy the Anzac day festivities and perhaps a game of two-up at the Yacht club or a town tour of Port Moresby. We will join in together for our last meal as a group at dinner and say our final fair wells to each other.